A body making an oscillatory harmonic motion is called the harmonic oscillator. At the first approximation it may be e.g. a body suspended on a spring (Fig. 1) or an atom or a molecule of a solid. If the damping resistance of the environment may be neglected, we speak about the undamped harmonic oscillator. We can demonstrate that the oscillation is harmonic, if the acting force is proportional to the deflection from the equilibrium, and its direction is opposite to that of the deflection. 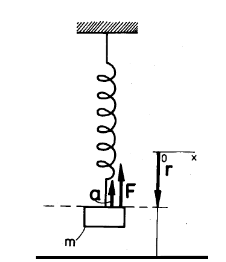 Let us have a spring, for the deflection of which from the equilibrium position by r is necessary to exert the force F = -kr, where k is the spring stiffness. An equation of the motion of the harmonic oscillator, consisting of the spring and the weight with the mass m, is −kr = ma (as the application of the second Newton΄s law Σ F = ma), i.e. where y is the deflection, A is the amplitude, [A] = m, ωo is the natural angular frequency of the harmonic oscillator, [ωo] = rad s−1, and φ, [φ] = rad, is its initial phase (Fig. 2). here fo is its natural frequency and To is the natural period of the harmonic oscillator. During the motion of a harmonic oscillator under real-world conditions friction forces are always acting decreasing the amplitude of the oscillating motion, leading to the standstill after some time. 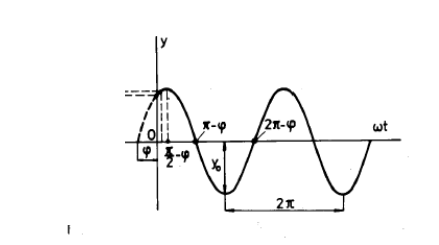 This kind of oscillations is then referred to as a damped oscillator. 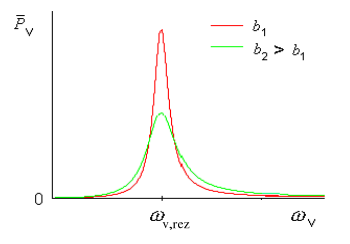 where ωb = (ωo2 − b2)1/2 is the angular frequency of the damped oscillator. 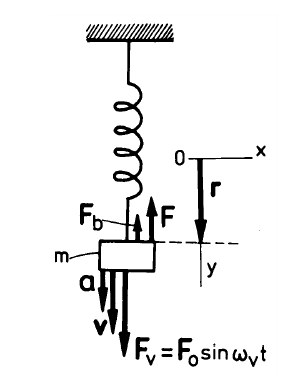 The important case of the ocillating motion is the driven oscillator, where an external force makes a material object to oscillate at a generally different frequency, than that of the natural frequency of the oscillator. If, however, both frequencies are approaching each other, the important phenomenon arises, known as the resonance. 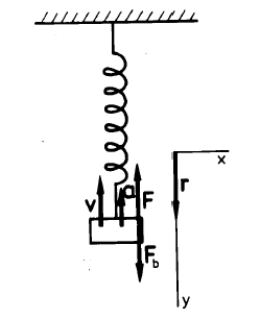 where Fo is the amplitude and ωv the angular frequency of the driving force Fv. with the value Av,res = Fo / (2bm(ωo2 - b2)1/2. 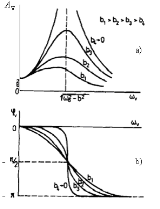 Likewise the initial phase φv of the driven oscillations (or the initial phase shift between the driving force Fv and the deflection y) is dependent on the is frequency of the driving force ωv and at the resonance equals φv,res = -π/2 ( see Fig. 6 b). The dependencies in Fig. 6 will be used to determine the energy transferred to the oscillator. This phenomenon is very important in the Nature and for the technology in general as it represents a selective energy transfer between the transmitter of energy and the oscillator only within a certain interval of frequencies or wavelengths. This is e.g. the basis of selective transfer of telecommunication signals or also an absorption of some wavelength of radiation from the Sun by certain molecules, which otherwise would reach the Earth surface. 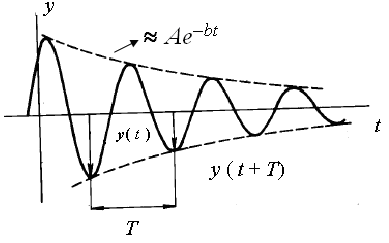 The medium energy transfered in a single period of oscillatory motion from the driving source into the oscillator is then dependent of driving angular frequency ωv (mentioned here without derivation; for more information, see R. B. Lindsay, Physical Mechanics, 3rd ed., Van Nostrand 1962). In Fig. 7 is the the medium energy transferred in one period of oscillatory motion to the oscillator from the driving source on the driving angular frequency ωv for various values of damping b.